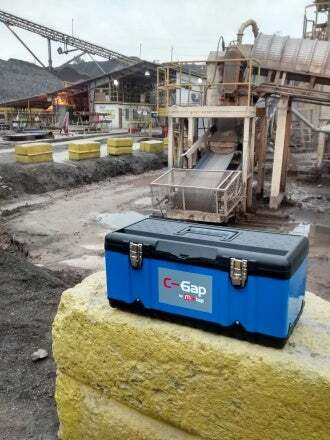 A C-Gap was recently trialled at the Ex Lafarge Quarry in Chile. The crushers were Metso HP500, HP200 and a 3ft Sandvik measuring gaps between 7mm and 34mm and 72 and 130mm on 5mm and 11mm long hoses. Below are some comments from the operators: "The operator of this crusher was very happy with the results, He said it was easy, very precise and a lot more safe to do. The last test was on a Symons 3ft and we had great readings here too. "I’m very happy with all the results we got in these test. The C-Gap is safe to use, easy and precise." To find out more, please contact Mintap.